Sometimes, Vahrn is also called "gate to the south". And justifiably so, because it is the place, where the cold north wind meets the mild and sunny climate of the south. Due to this interesting mix, your stay in Vahrn in Eisacktal will be a very special experience. Chestnut groves, apple trees, vineyards… In the environs of Vahrn there grows everything typical for the South Tyrolean cuisine – above all those delicacies, which are most important for the harvest tradition “Törggelen” in autumn: new wine, roasted chestnuts and juicy apples. 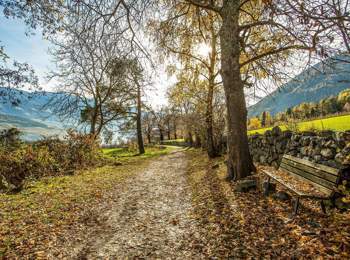 Thanks to the relatively mild climate in Vahrn, Brixen and Feldthurns you can hike and bike not only in summer, but also in spring and autumn. One of the most famous hiking trails is probably the so called “chestnut path” to Ritten. Recommendable is also the short tour to the lake of Vahrn. 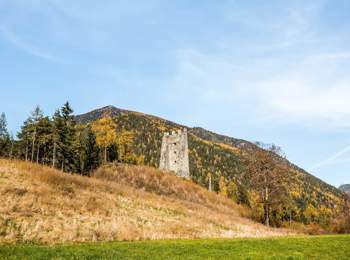 In the winter, there are reachable several attractive skiing regions: Plose, Gitschberg-Jochtal and Kronplatz. And the Christmas market in Brixen is considered to be one of the most beautiful ones throughout South Tyrol. Come and see for yourself!